It's a fantastic day for music. 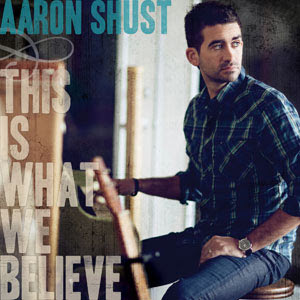 In addition to the fabulous new Downhere album out today (see review on this page), Aaron Shust's new record, "This is What We Believe" is also out today, and it's just terrific. Energetic and upbeat, it's a worship album that's a winner from start to finish. It's pretty much everything I like in music: great arrangements, soaring vocals, a good beat.... it's been a tough competition the last couple of weeks to see what gets more play on my iPhone: this album or "On the Altar of Love." Big thumbs up for this album.